I hate the end of daylight savings time for many reasons, but I’ve just added loss of training time to the very long list. I can only spend time with Snafu and Zen before I go to work, which is not nearly enough. Snafu has been regressing in his training, becoming more reluctant to jump on my hand to get food. I therefore have moved him inside to help him get used to people and to have more together time. One of the things Snafu is sharing with us is the final demise of our furnace which has decided to signal its retirement by spewing water and oil all over our basement. So off goes the heat just in time for the first snow of the year. An emergency trip to Home Depot secured a few space heaters, and my obsession with having blankets is finally paying off. I crawled under a quilt, turned on Mormon Tabernacle Choir singing Christmas Carols, and starting playing Monument Valley, a visually amazing video game for those like me who 1) love M.C. Escher and 2) hate video games. A winter idyll: snow outside, me with a blanket inside, and a lovely soprano in the midst of a soaring gloria when suddenly she was drowned out by a piercing sound. Think of a teapot whistle, a woman screaming, and siren going off at the same time. First thought: alien attack. Then it happened again. Second thought: the furnace is committing hair-kari. Then it happened again, and I began to get suspicious. And again. Annoyance replaced suspicion. The soprano finished the carol and there was silence. Snafu strikes again. 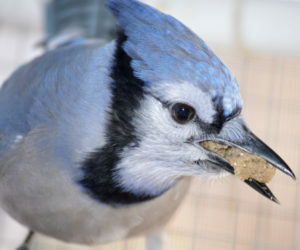 Welcome to the joy of having a blue jay in the house. They are excellent mimics. They have been documented imitating hawks. Although no one knows exactly why they do this, I vote for the theory that they like scaring other birds away so that they don’t have to share a food source. The problem here is that I have no idea what Snafu thinks he is imitating. 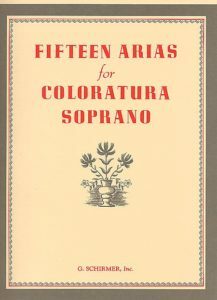 If he is attempting to be a coloratura soprano, he should stick to his day job.